FOR SALE – $695,000. 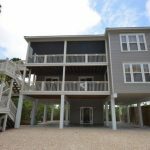 1248 Sea Dune Drive, SGI. Dragon’s Lair is a well-built beach home nestled amid lush, natural vegetation & landscaping. 3074 sf, 5 BR/4.5 BA, pool. Click the link below to watch video tour.